Hey, it's a trick placemat! Either that or a new line of cast iron dishes and silverware. Nah, it's the placemat. The Gravitational Displacemat, as they're called. 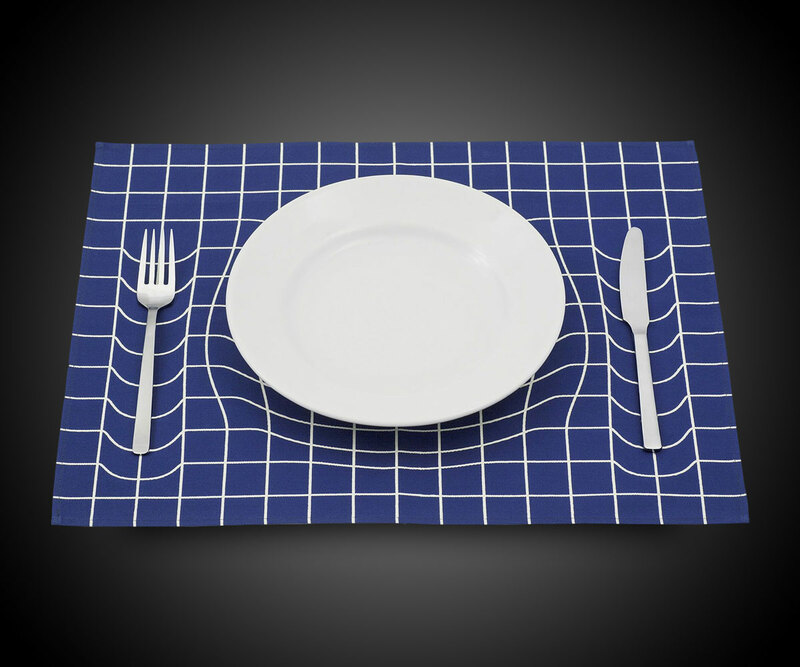 These optical illusions for the dinner table add a few curvy tweaks to a straight grid pattern that, positioned under plate and cutlery, create some trippy visuals for those using them. Gravitational Displacemats won't make the most stylish additions to your table decor, but close as we are to January, it probably isn't a bad idea to drill the concept of heavy, heavy, HEAVY into your guests' minds as they go in for that third helping of mashed potatoes. 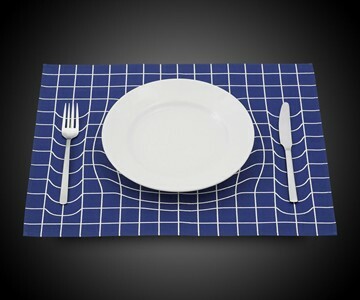 The matheMATical roots of the placemats may also win the favor of anyone looking for gifts for geeks.